Built by a biking enthusiast with no formal engineering degree, this 4 cylinder, 1000cc handmade superbike is a work of art. Riddhesh Vyas, of Rajkot, Gujarat is a superbike aficionado. 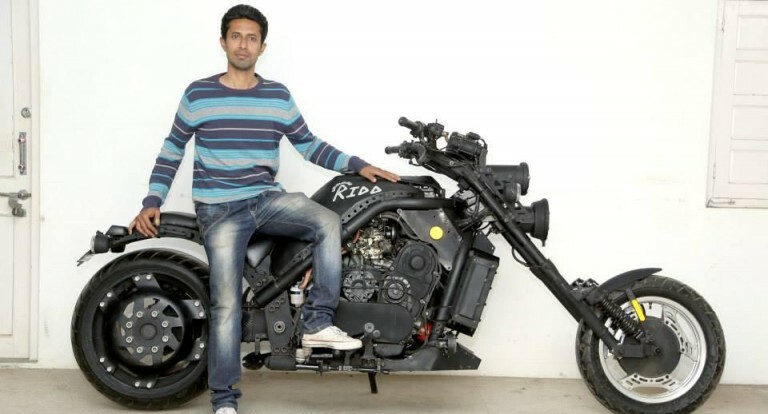 He has built a 1000cc superbike which he has named the Ridd. He has no formal engineering degree but has managed to create this superbike which has even found mention in the Limca Book of Records as the first ever handmade motorcycle in the country. 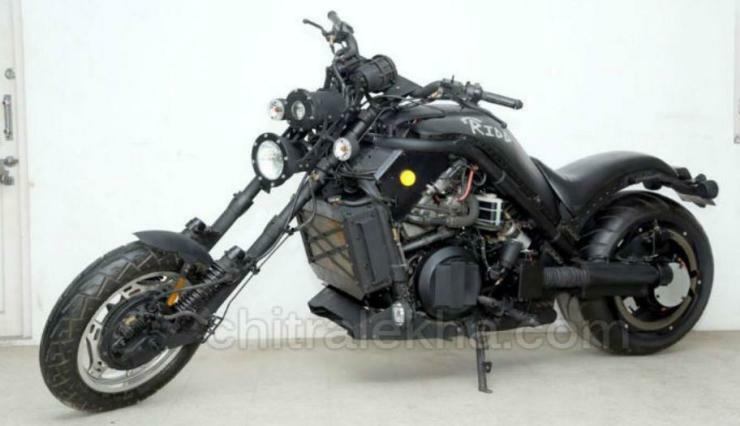 Vyas took 8 long years to construct this wonder bike. It is built out of a host of handmade parts and Vyas claims to have spent INR 8 lakhs for this endeavor. The bike measures 8 ft 9 inches feet in length and weighs 400 kgs. It gets a 1000cc four cylinder engine, hydraulic system and 6 speed transmission. Except for the engine, hydraulic system, and tyres all other parts are made by hand. Ridd receives front forks, a long wheelbase and commands a relaxed ride position. The features also include a single side swing arm at the rear, swing arm based suspension at the front and hydraulic clutch. The handmade bike can touch a top speed of 170 kmph. Vyas may not have any engineering degree to boast of but having a metal fabrication business, he has been able to construct each part of the Ridd with precision. He noted some outstanding features in high end bikes and has incorporated these into his custom bike allowing him to transform his dreams of owning a superbike into a reality.